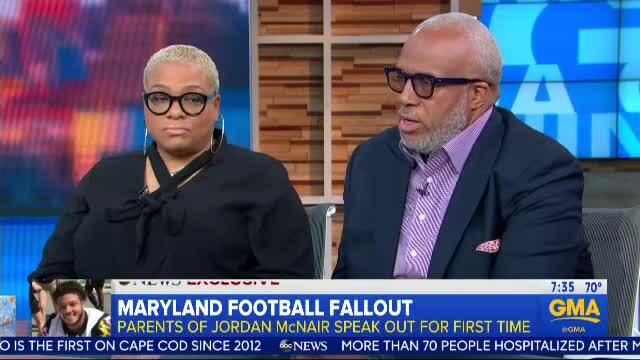 The parents of Jordan McNair spoke exclusively to ABC News about the loss of their son on Good Morning America Thursday morning. McNair played for the University of Maryland football team. The 19-year-old collapsed during a workout on May 29th and died of heat stroke two weeks later. A report by ESPN cited multiple, anonymous sources that said players at the University of Maryland were pushed beyond their limits during team practices. 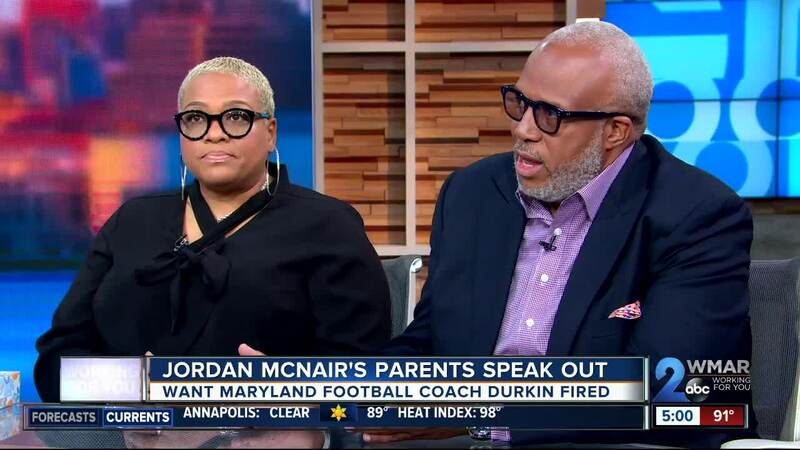 Michael Strahan started the interview by asking McNair's parents, Tonya Wilson and Martin McNair, how they are holding up. “Day by day, day by day, as best as I could hold up, as we both can hold up,” explained Tonya. Strahan followed-up by asking if they believe there was a toxic culture in Maryland football. Tonya replied by saying if there was, she blames that for the death of her son. Their lawyer said he does not doubt there is a toxic culture at the college, and that exact culture is what led the coaches to push beyond what Jordan's body could handle. He said it pushed them to think that Jordan was just exhausted as his body was failing. The assistant coach running that specific practice resigned, so Strahan then asked the family if the head coach should also resign. 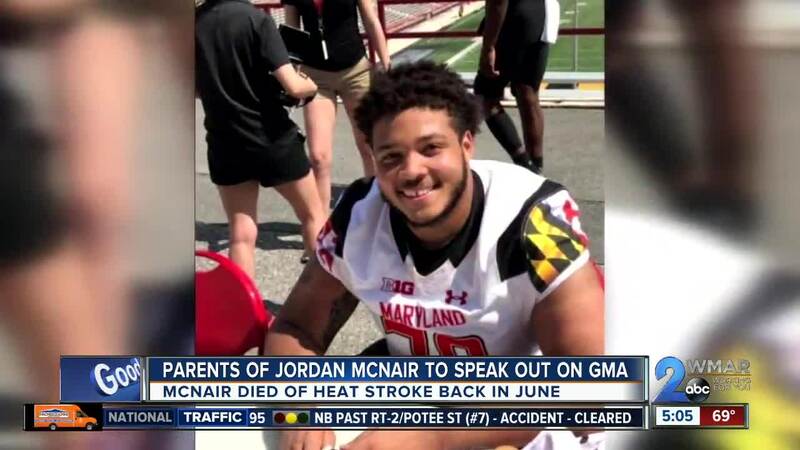 McNair's parents have started a foundation in their son's honor, to educate players, parents, and coaches about heat-related illnesses, bullying, and what a student athlete's body can handle. “This particular injury isn’t something that just happened to Jordan, this happens all the time,” Martin said in his final statement. If you want to donate or learn more information about the foundation, click here .